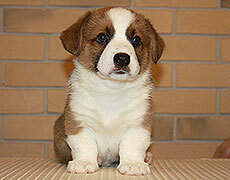 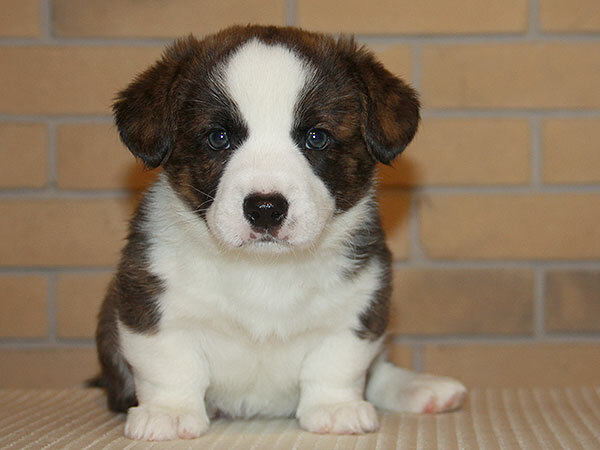 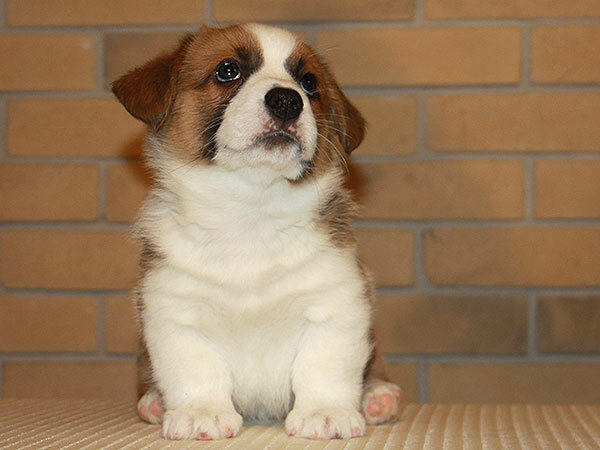 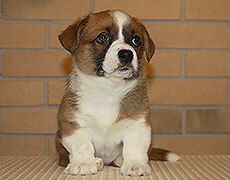 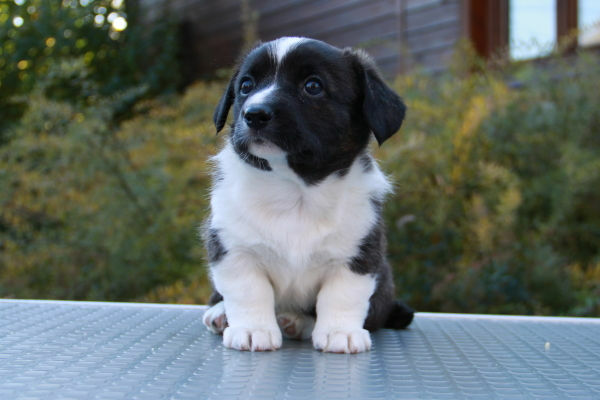 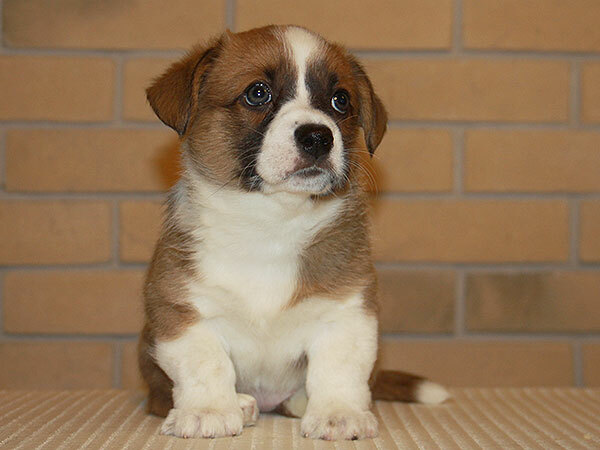 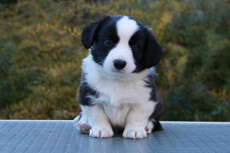 News of welsh corgi cardigan Kennel ZHACARDI, Moscow, Russia. Our puppies by Brogan (Pluperfect Merrymoon Proper Bloke) and GILALA (Zhacardi GILALA) are 40 days old already and we have made their new pictures! 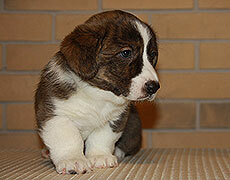 Please, find the pedigree and all pictures of the babies on the page of I Litter. Our puppies by Nicholas (Pluperfect Merrymoon PATHFINDER) and Kira (Zhacardi BAKKARA) are 40 days old already and we have made their new pictures! 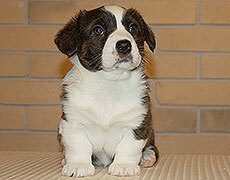 Please, find the pedigree and all pictures of the babies on the page of ZH Litter. 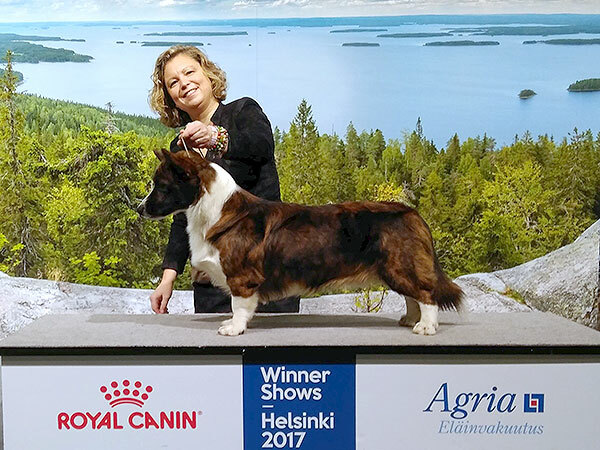 Excellent results of our dogs in Finland! 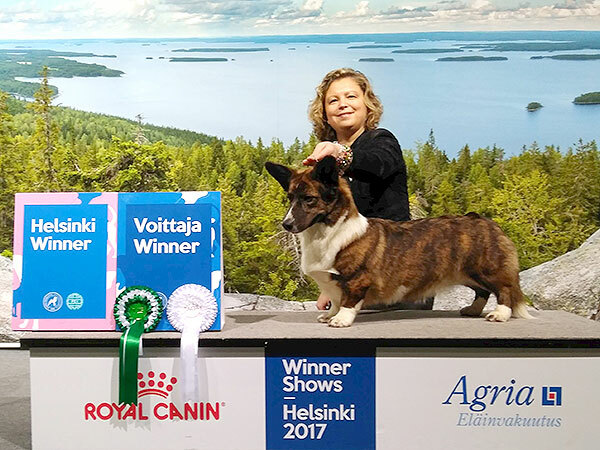 On the 08-10th of December our dogs Gelya (Zhacardi GILALA) and Fima (Zhacardi EFIM) took part in biggest dog-show of Finland which lasted for 3 days and consisted of: Helsinki Winner, Nordic Winner and Finnish Winner. 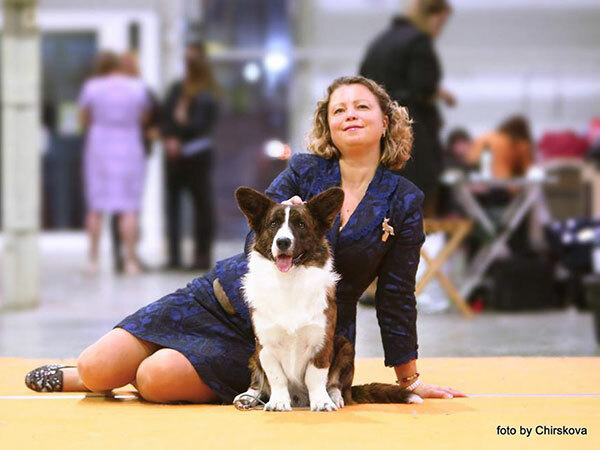 Gelya (Zhacardi GILALA) — 2 x СACIB, CAC, Best Female, BOS, Finnish Winner, Champion of Finland! 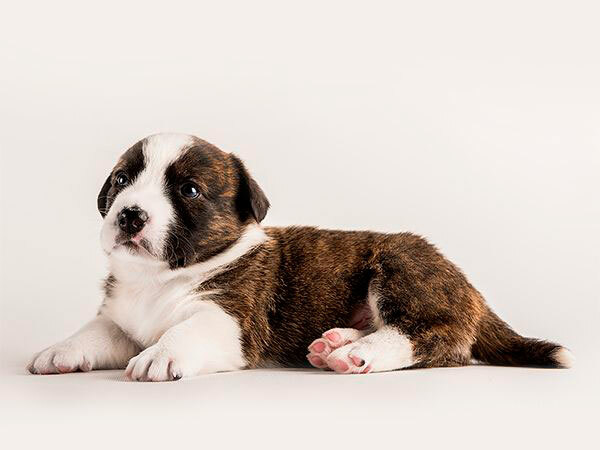 Fima (Zhacardi EFIM) — Junior Helsinki Winner! We have the first pictures of our puppies by Nicholas (Pluperfect Merrymoon PATHFINDER) and Kira (Zhacardi BAKKARA) at the age of 2 weeks! 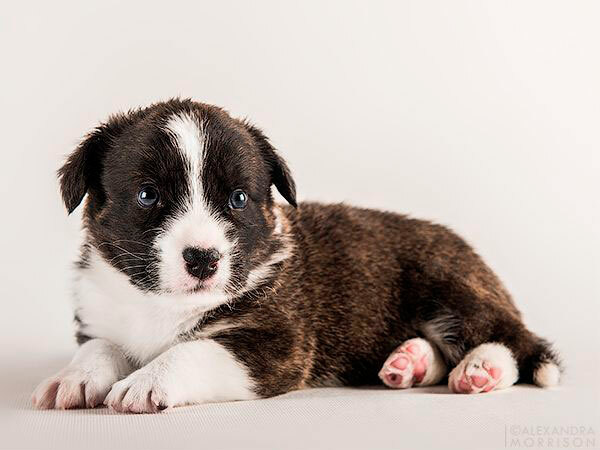 Nicholas (Pluperfect Merrymoon PATHFINDER) and Kira (Zhacardi BAKKARA) became the parents of 6 amazing children! 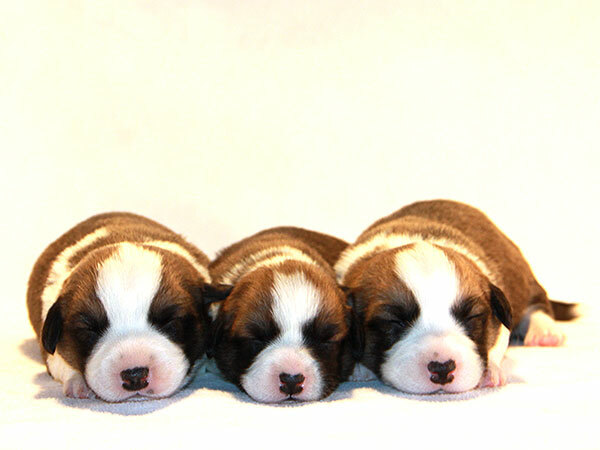 On the 14th of November Kira gave birth to 4 sons and 2 daughters of brindle and red&white colors! 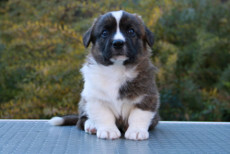 We will post their pictures soon. 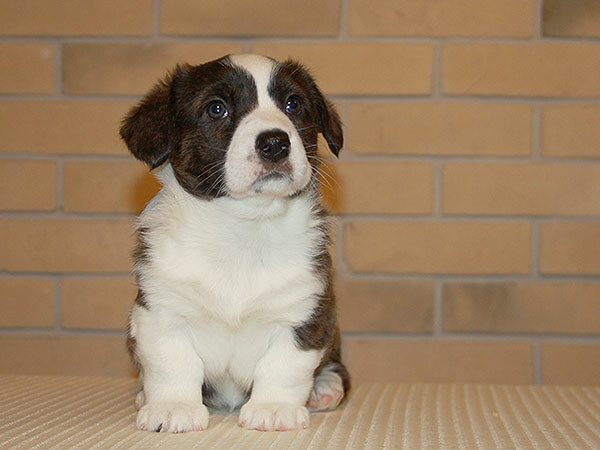 With all questions about the puppies, please, contact us by e-mail and phone from our Contacts page. 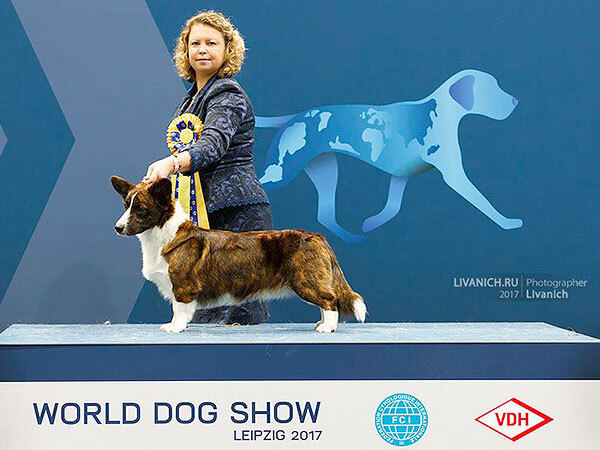 Our Gelya (Zhacardi GILALA) — World Champion 2017 and Champion of Germany! 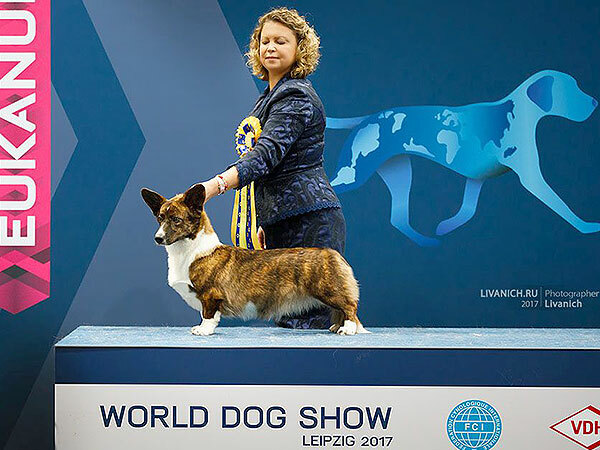 On the 08-12th of November World Dog Show 2017 and German Winner Show were held in Leipzig (Germany). 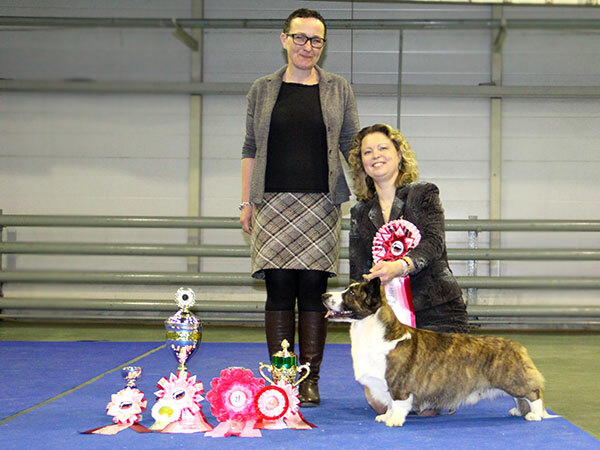 Our dogs took part in these 2 big shows. 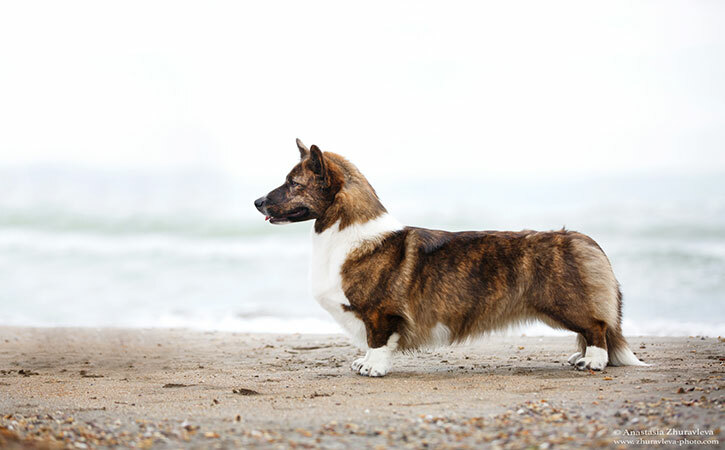 This year there was great ammount of participants on boths shows: 22 welsh corgi cardigans in German Winner Show and 94 welsh corgi cardigans on World Dog Show! 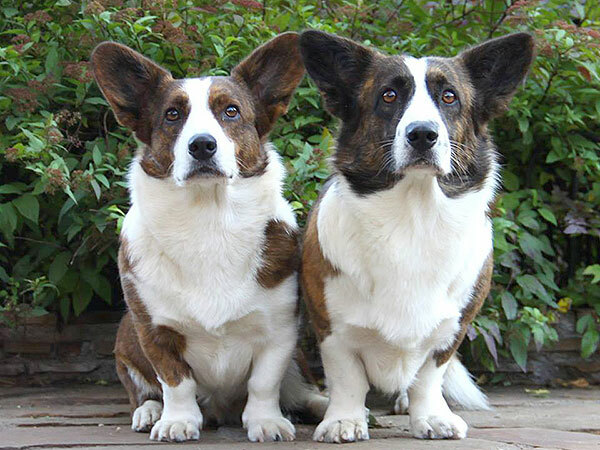 The results of our dogs are amazing! 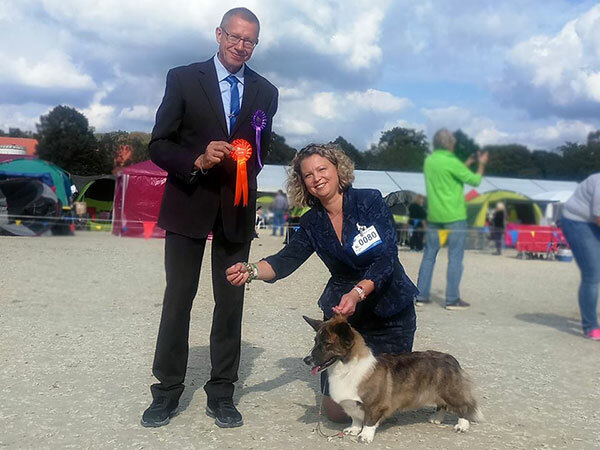 08.11.2017, German Winner Show, judge Muller-Heinz Heidi (Germany). 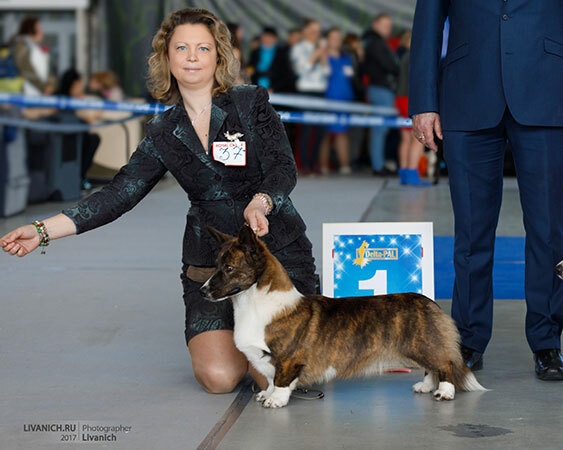 Gelya (Zhacardi GILALA) — 1 excellent in Intermediate class, CAC, VDH-CAC, CACIB! 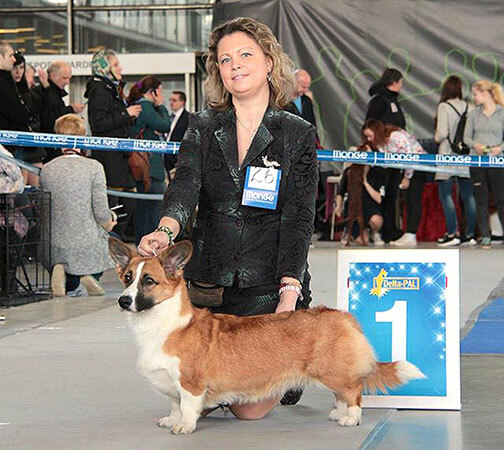 Fima (Zhacardi EFIM) — 2 excellent in Juniors class, R.JCAC. 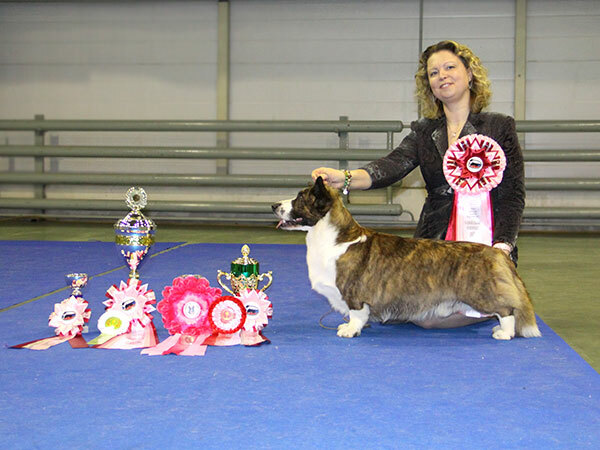 Nicholas (Pluperfect Merrymoon PATHFINDER) — 1 excellent in Open class, VDH-CAC. 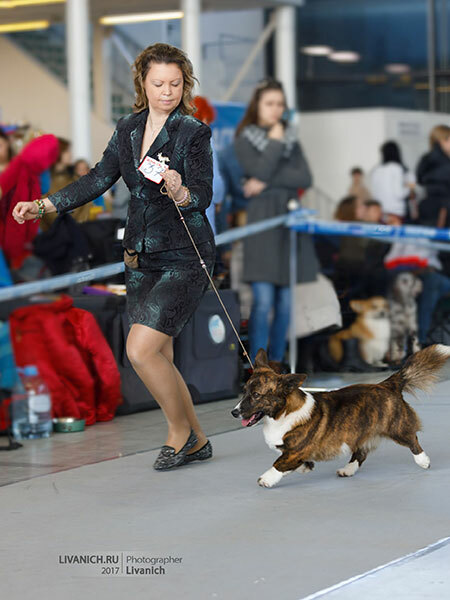 11.11.2017, World Dog Show 2017, judge Muntean Petru (Romania). 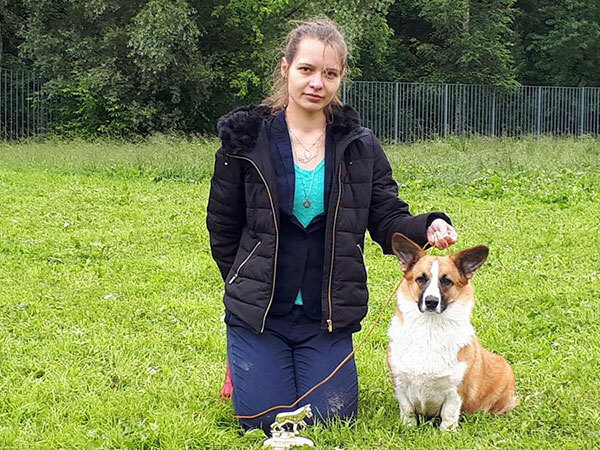 Gelya (Zhacardi GILALA) — 1 excellent in Intermediate class, CAC, VDH-CAC, CACIB, Champion of Germany, World Winner 2017! 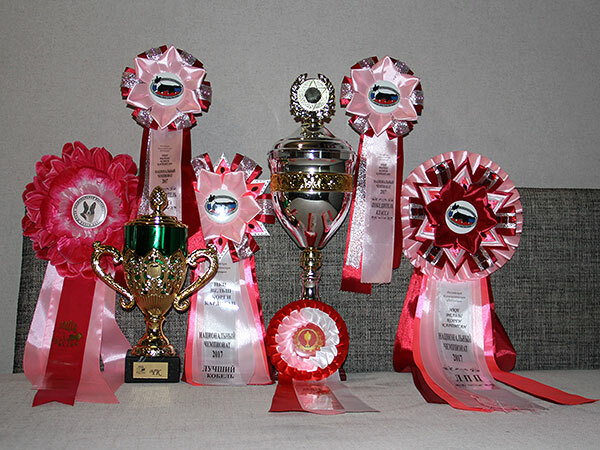 Fima (Zhacardi EFIM) — 4 excellent in Juniors class (got in placing of 4 best juniors). 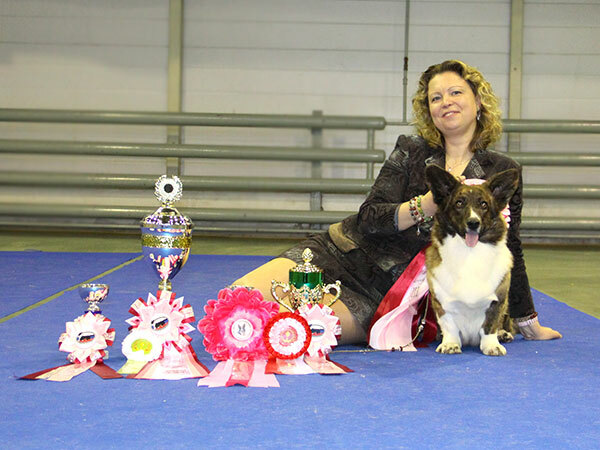 Nicholas (Pluperfect Merrymoon PATHFINDER) — 4 excellent in Champions class (got in placing of 4 best dogs in class). 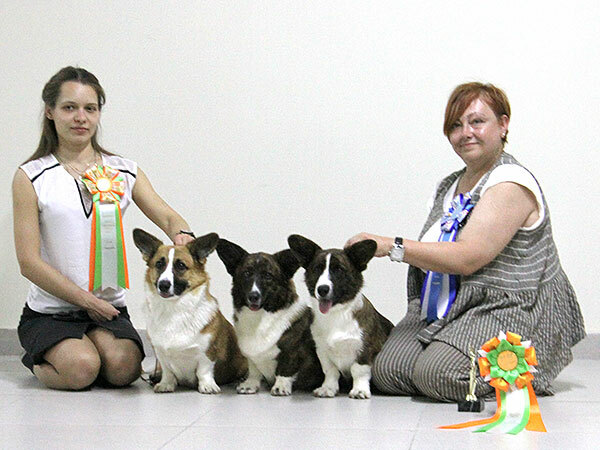 All-breed dog-shows — 2 x JCAC, 2 x Best Junior, BOS, BOB, Junior Champion of Russia! 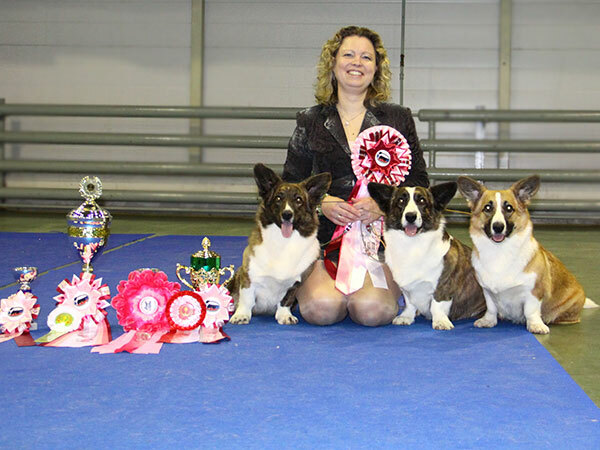 Welsh Corgi Cardigan Speciality Show — 2 excellent, CC! 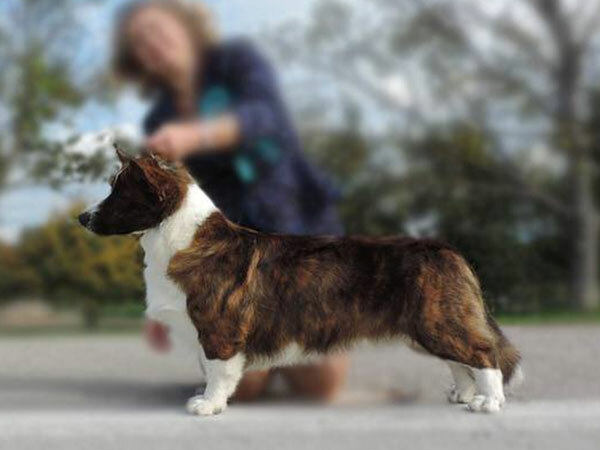 Fima (Zhacardi EFIM) — 2 x JCAC, 2 x Best Junior, BOS, Crufts qualification, Junior Champion of Slovenia! 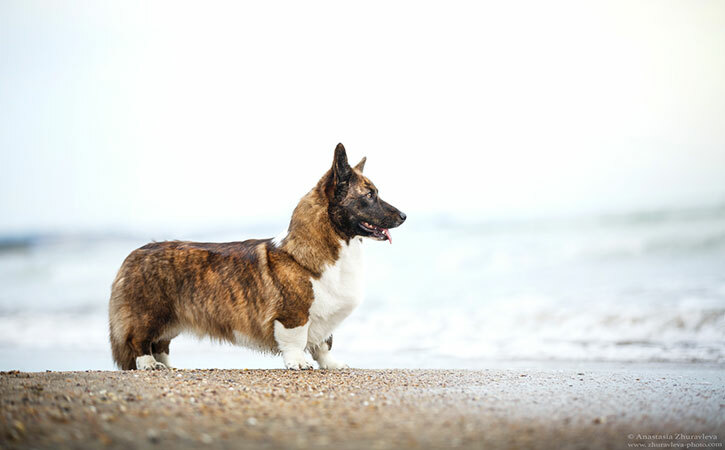 Gelya (Zhacardi GILALA) — 3 x САС, 2 x CACIB, BOS, 2 x BOB, Crufts qualification, Champion of Slovenia! 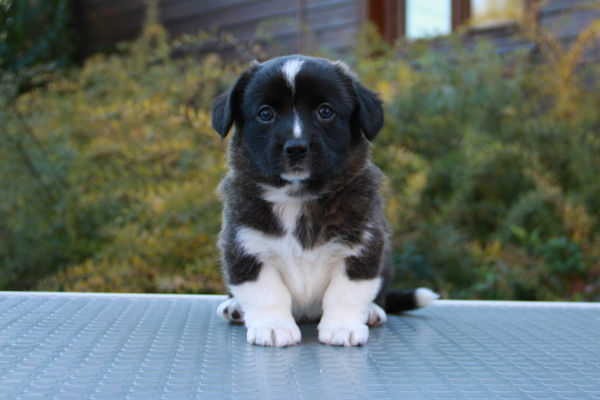 Zhacardi EFIM — 1 very promising, Best Puppy! 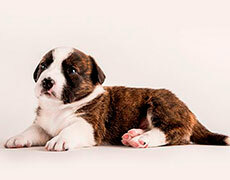 Zhacardi GERDA — 1 excellent (in Winers class), CC! 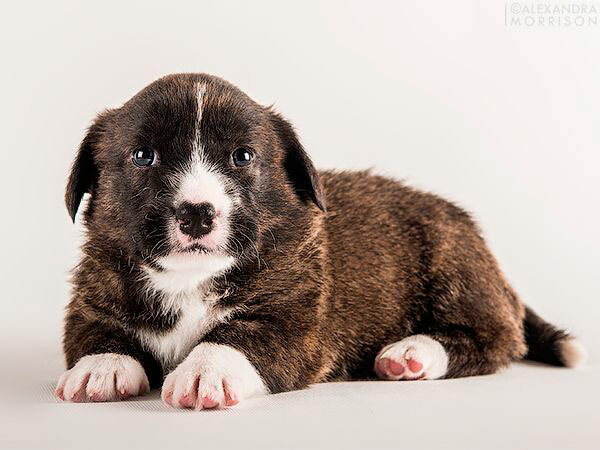 Excellent news! 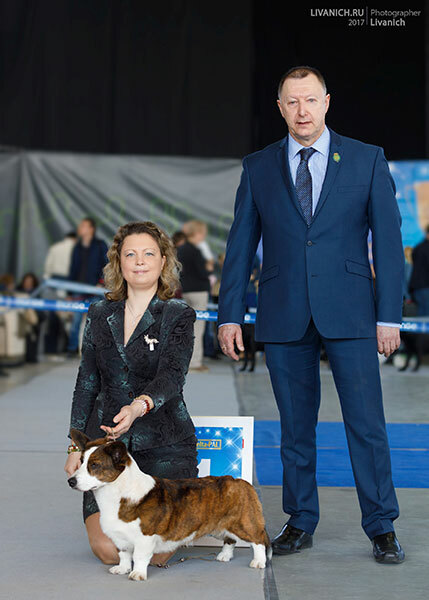 On the 08th of July on the dog show in Moscow under judgement of Olga Polunina (Moldova) Zhacardi GERDA got CAC, became BOS and complited the title of Champion of Russia! 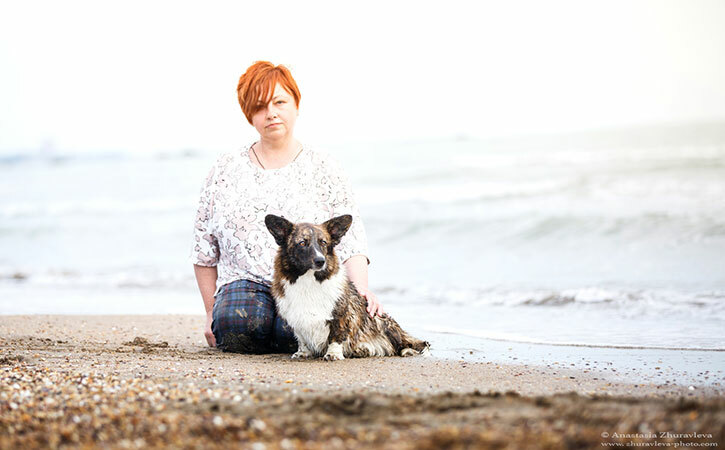 Sea sketches with Zhacardi GILALA. 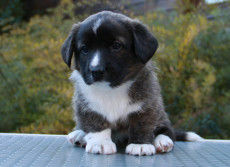 We went back from the trip to the republics of Transcaucasia. 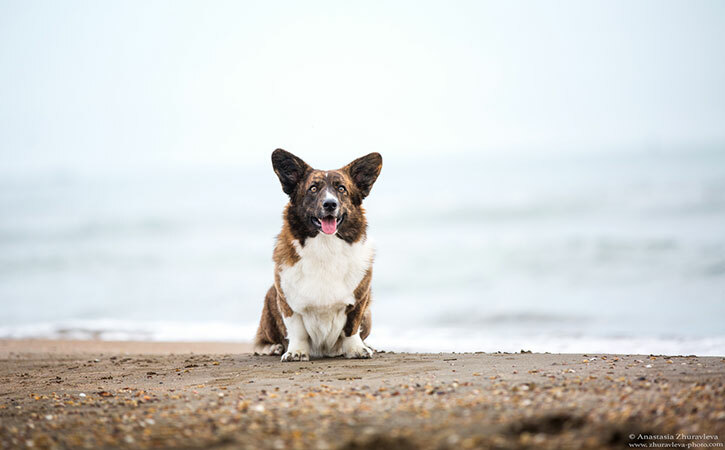 We visited Armenia, Georgia and Azerbaijan. 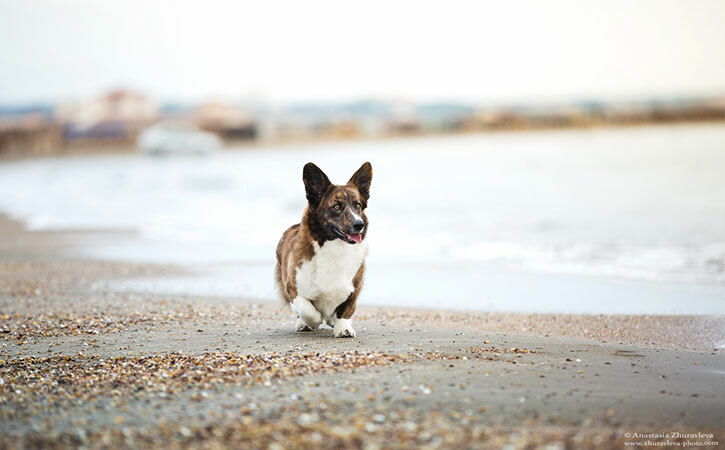 We saw Yerevan, Tbilisi, Baku, and rested on the Caspian Sea. 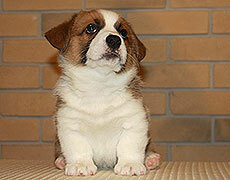 And also, took part in 8 International dog shows. 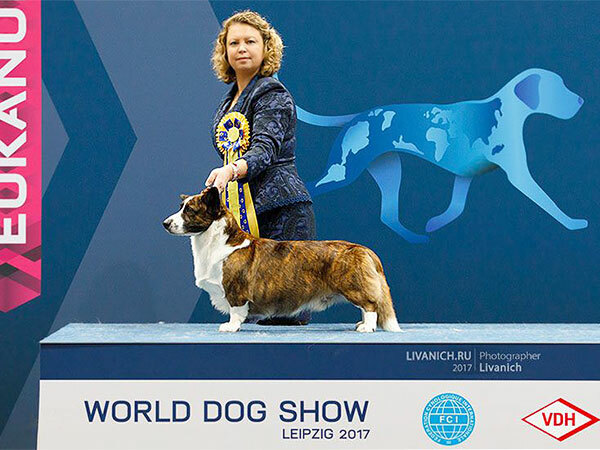 Judges: Claudio De Giuliani (Italy), Peter Harsanyi (Hungary), Galina Zhuk (Belarus), Zvi Kupferberg (Israel), Stefan Sinko (Slovenia), Monika Blaha (Austria), Kornelija Butrimova (Lithuania) and Astrid Lundava (Estonia). 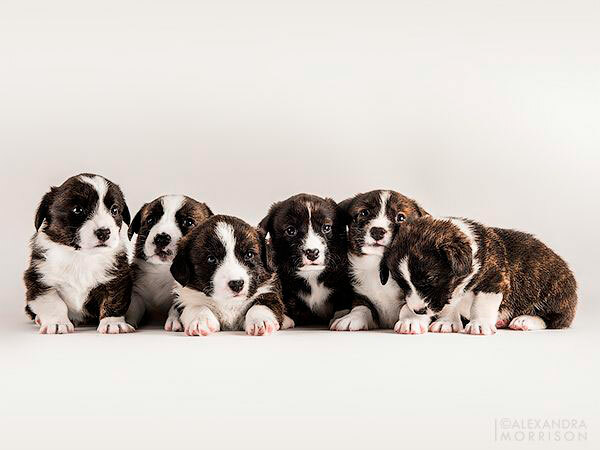 Results of our Gelya (Zhacardi GILALA): 8 x CAC, 8 x CACIB, 7 x BOB, 1 x BIG - 3!!! 4 x Сrufts Qualification!!! Champion of Armenia, Georgia, Azerbaijan. 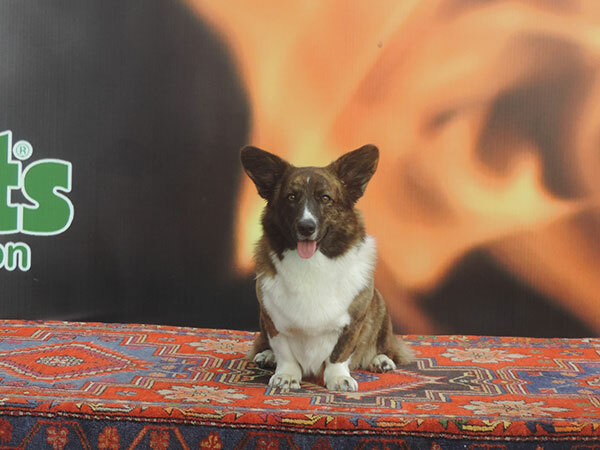 Grand Champion of Armenia, Georgia, Azerbaijan. 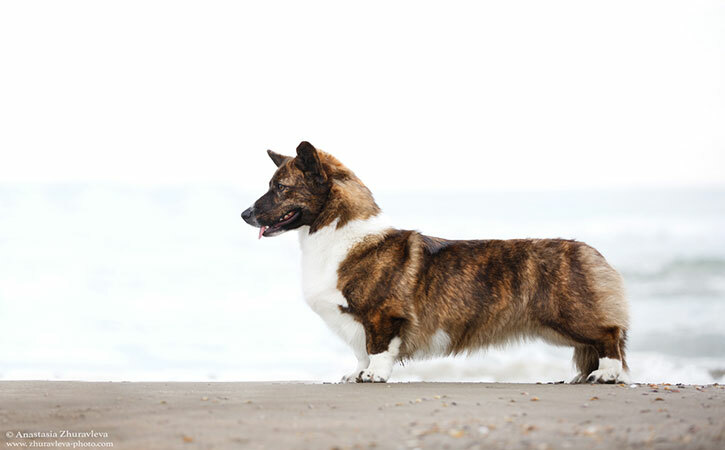 Caucasian Champion! 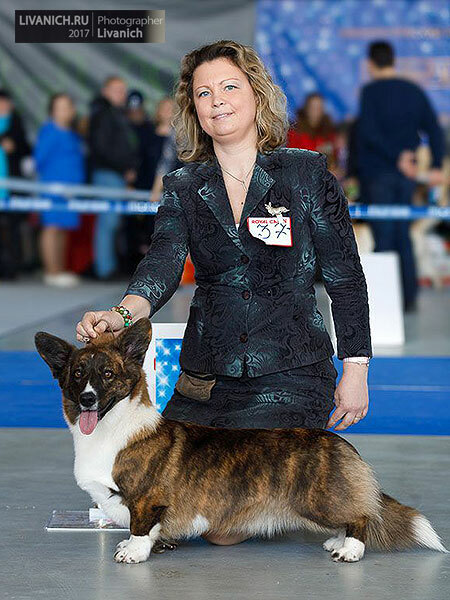 Zhacardi GILALA — 1 excellent in Winners class, CCC, Club Champion, Grand Champion of Russia!!! 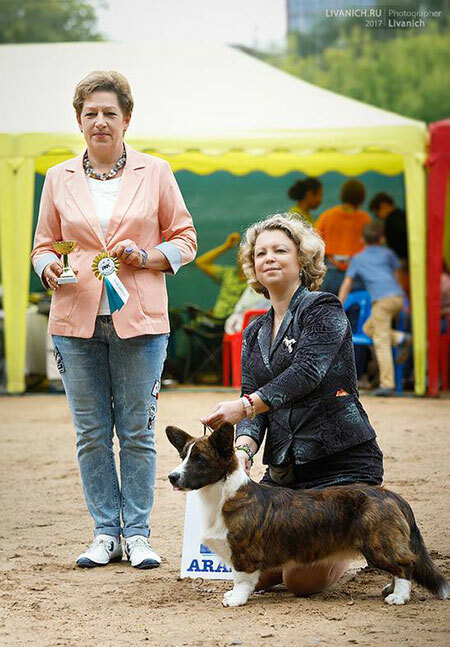 Zhacardi GERDA — 2 excellent in Intermediate class, CC. 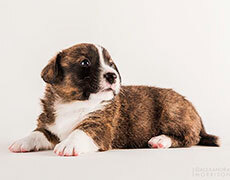 Zhacardi EFIM — 1 very promising, Best Baby! 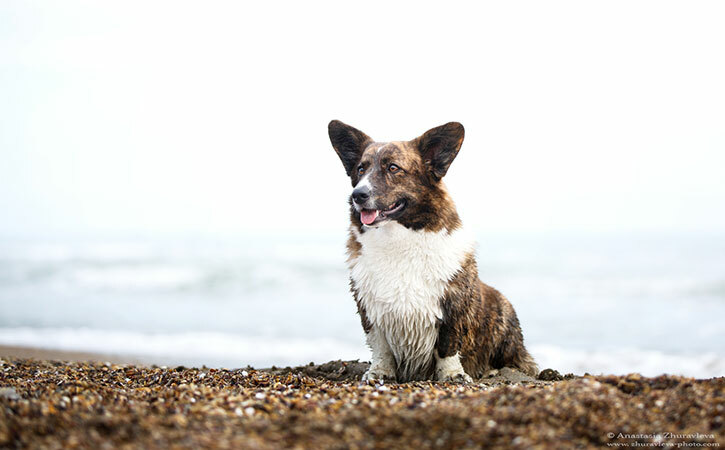 On the 16th of April in Moscow there was annual National Championship of Welsh Corgi Cardigan. 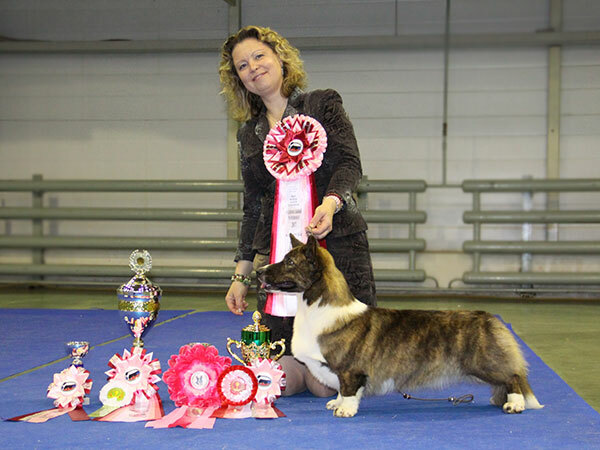 Famous breeder of welsh corgi Ingrid Prytz Ohm (All Trade Kennel, Norway) has judged this show and 52 dogs were shown. 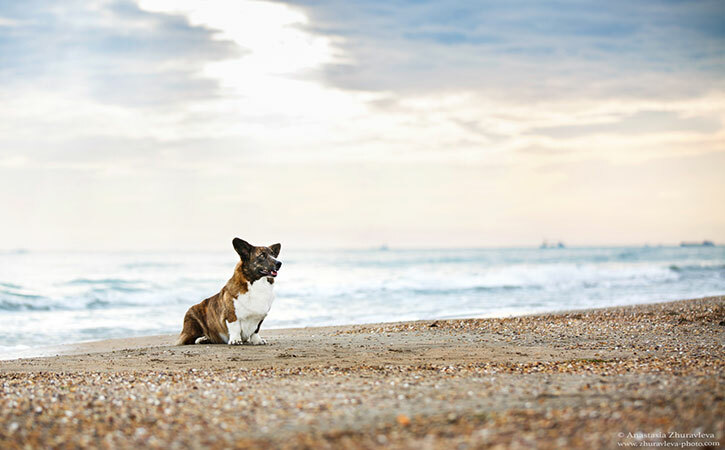 That's why the results of our dogs are so honorable! I am very proud of Nicholas who get Club Champion title for the third time. 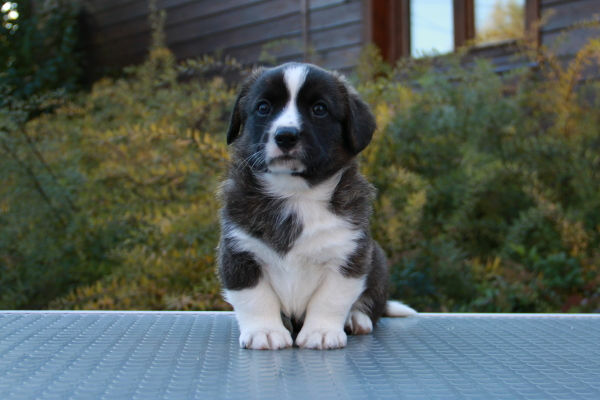 There is no any cardigan in Russia with such amount of Club CH titles. 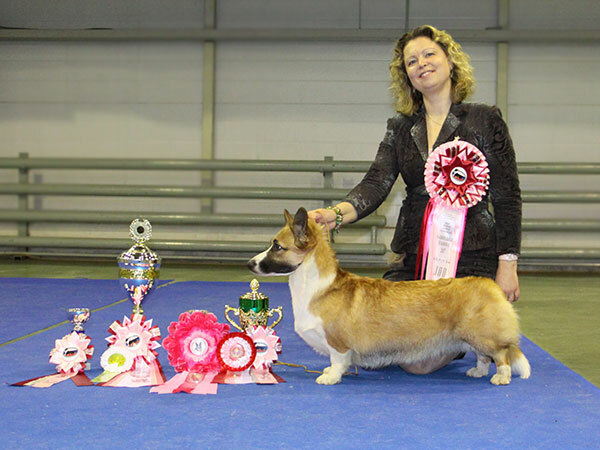 Sir Nicholas (Pluperfect Merrymoon PATHFINDER) — 1 excellent in Club Champions class, CW, Best Male, BOB, Club Champion! 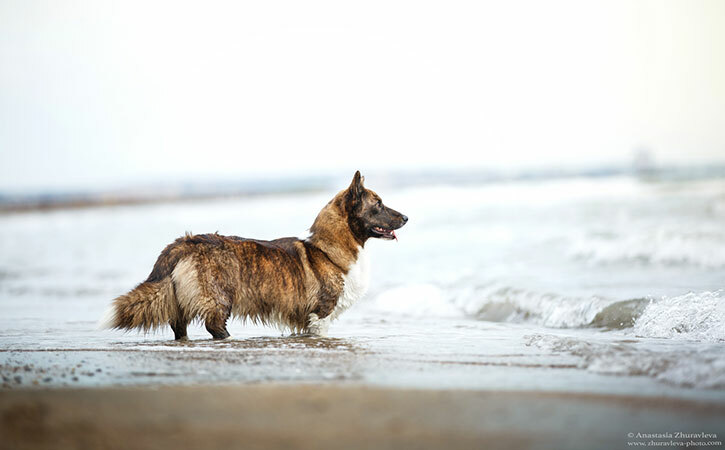 His daughters Gelya and Пera are worthy children of their father! 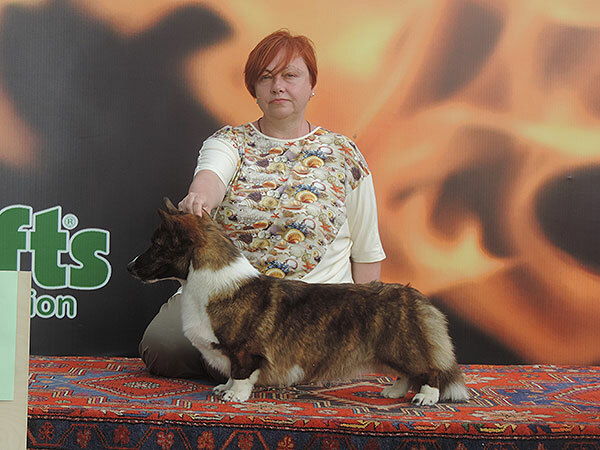 Gelya (Zhacardi GILALA) — 1 excellent in Intermediate class, CW, CCC. 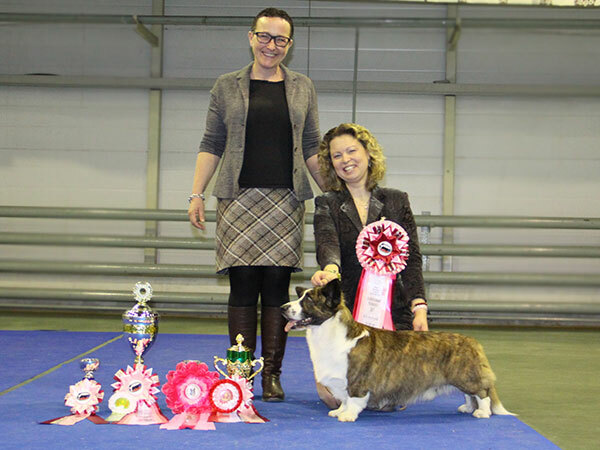 Gera (Zhacardi GERDA) — 2 excellent in Open class, CW, CC. 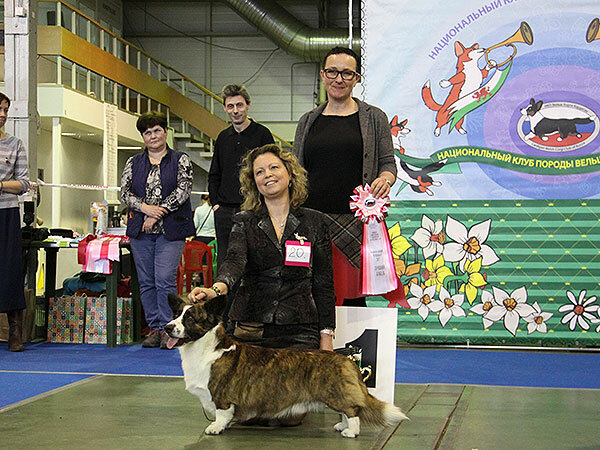 01.04.2017, Moscow, Welsh Corgi Cardigan Speciality Show. 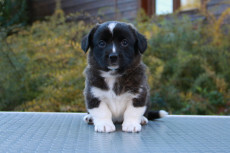 Judge — Nenad Metejevic (Serbia). 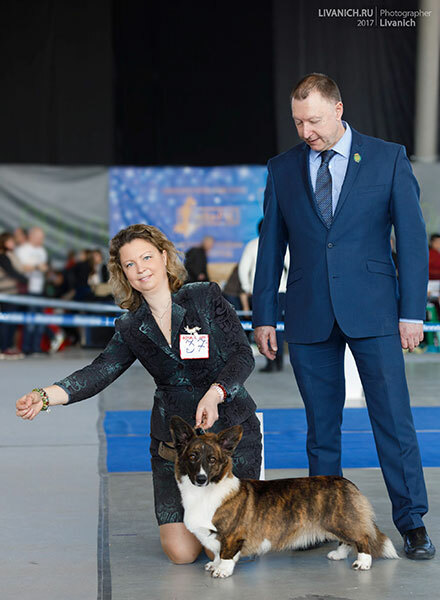 Kira (Zhacardi BAKKARA) — 1 excellent in Champion class, CCC, Best Female, BOB, Club Champion, Grand Champion of Russia!!! 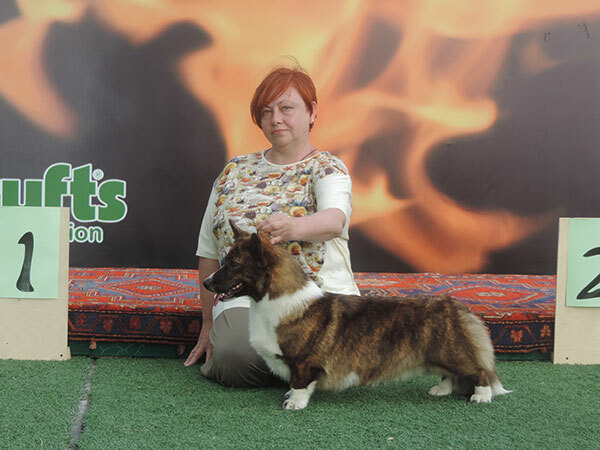 Gelya (Zhacardi GILALA) — 1 excellent in Intermediate class, CC. 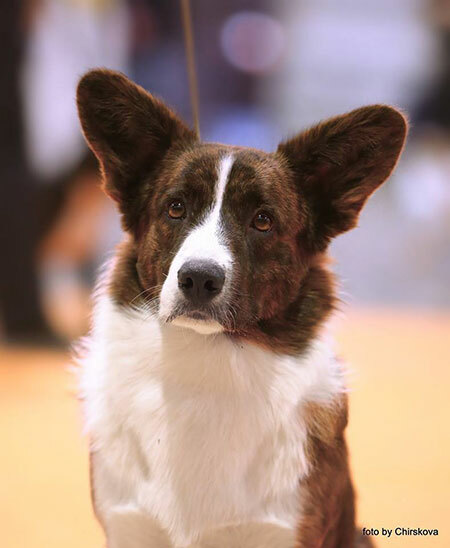 26.03.2017, Moscow, Welsh Corgi Cardigan Speciality Show. 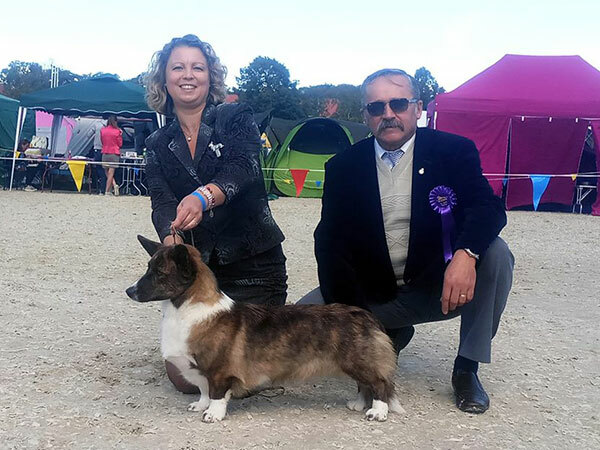 Judge — Kevin Young (England). 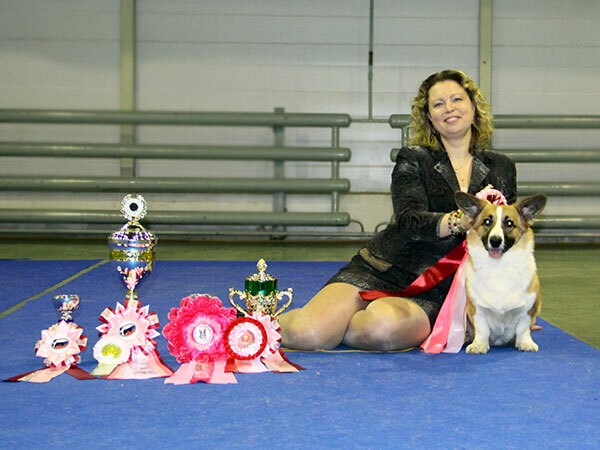 Gelya (Zhacardi GILALA) — 1 excellent, Best Female Junior, Junior Club Winner, Junior Club Champion!!! 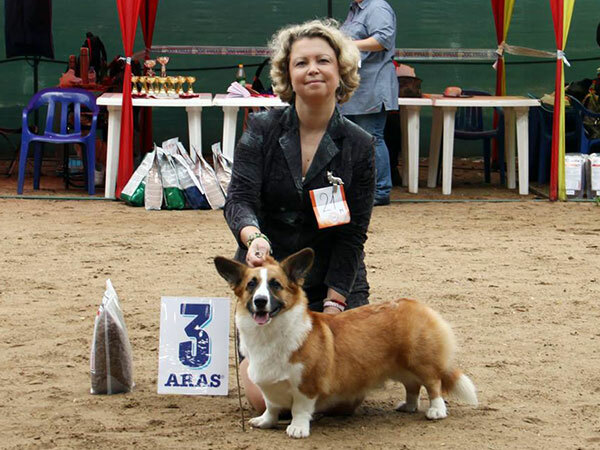 Gera (Zhacardi GERDA) — 2 excellent in Intermediate class, CC. 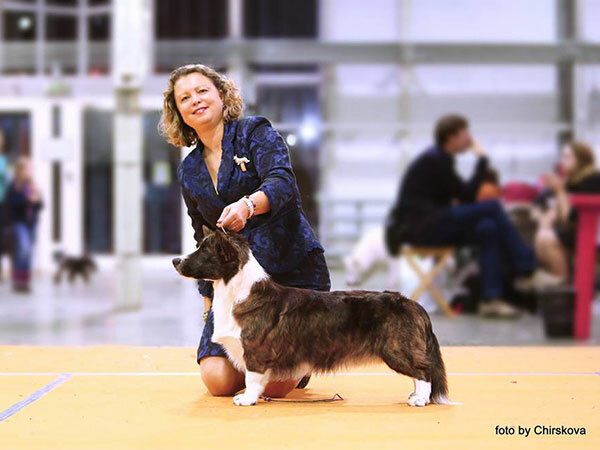 Kira (Zhacardi BAKKARA) — 1 excellent in Champion class, CCC! 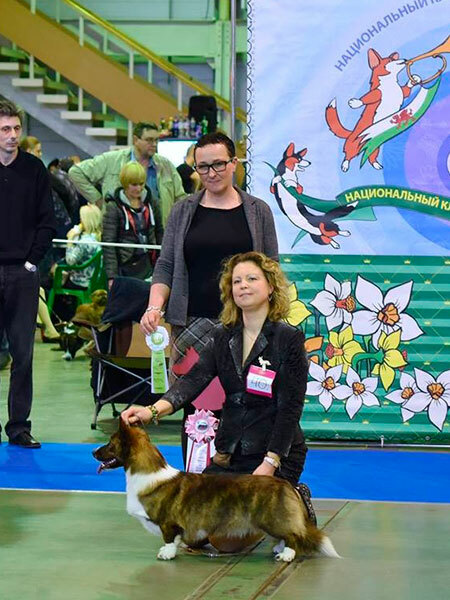 And on 26.03.2017 Gera (Zhacardi GERDA) took part in another Dog Show and under judgement of Hans Erik Pedersen (Denmark) got САС, became Best Female and BOB!!! 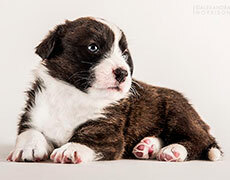 All puppies by Nicholas and Bronya are in the new homes! 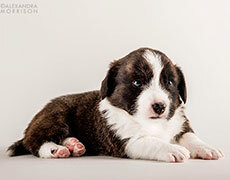 Puppies by Nicholas (Pluperfect Merrymoon PATHFINDER) and Bronya (Yasashiikuma DO A GOOD TURN) are almost 1 month now and we have done their first pictures! Please, find the pedigree and all pictures of the puppies on the page of E Litter! 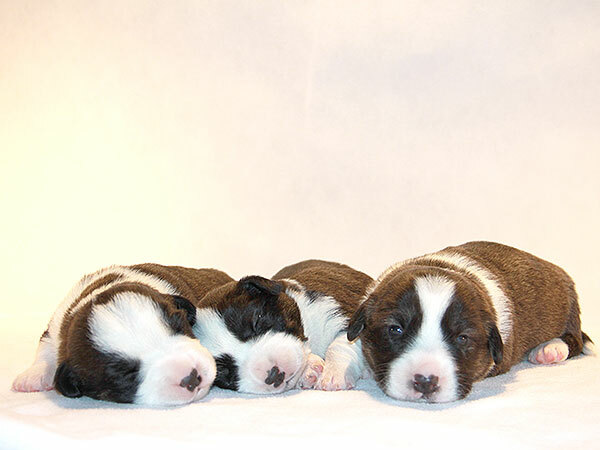 Nicholas (Pluperfect Merrymoon PATHFINDER) and Bronya (Yasashiikuma DO A GOOD TURN) became the parents of 6 wonderful babies! 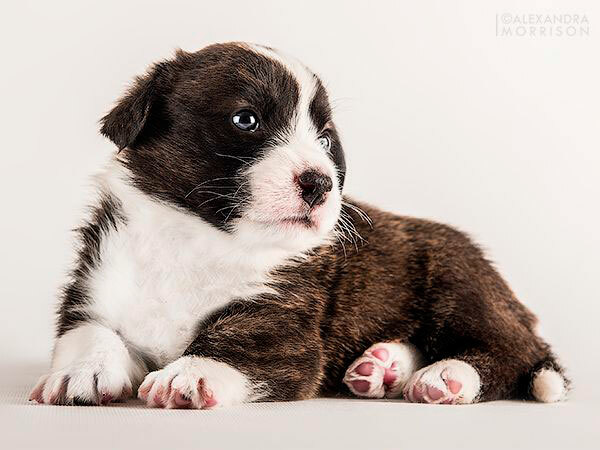 On the 27th of December Bronya gave birth to 5 sons and 1 daughter! 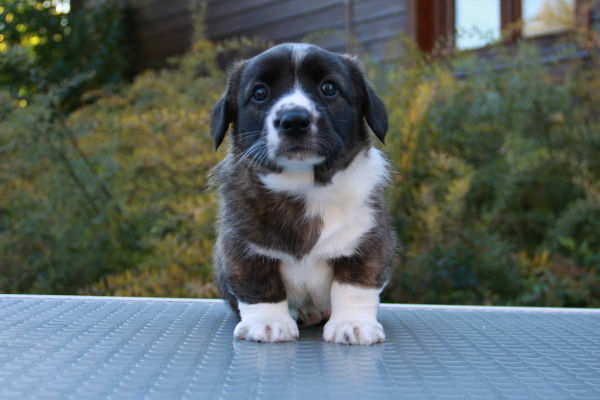 All puppies are brindle. 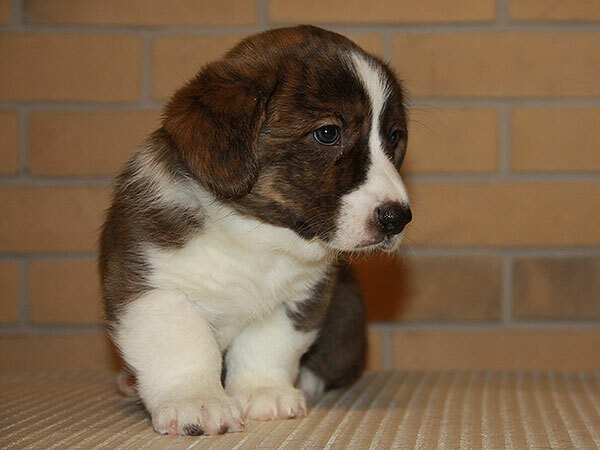 For puppies reservation please contact us by e-mail or phone from the Contacts section.